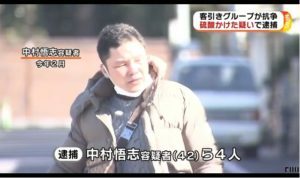 TOKYO (TR) – Tokyo Metropolitan Police have arrested a 35-year-old male comedian for allegedly breaking into a residence in Shinjuku Ward for the purpose of theft earlier this week, reports TV Asahi (Jan. 25). 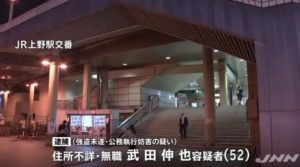 At around 5:30 a.m. on Monday, Yuta Niizuma, half of the duo Top Lead, entered the unlocked residence and began rummaging around. However, once he was spotted by a male occupant, 23, he fled the scene. 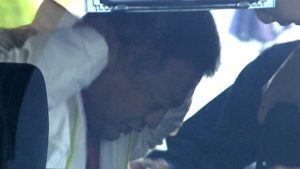 The male occupant gave chase and apprehended Niizuma on a road about 150 meters away. 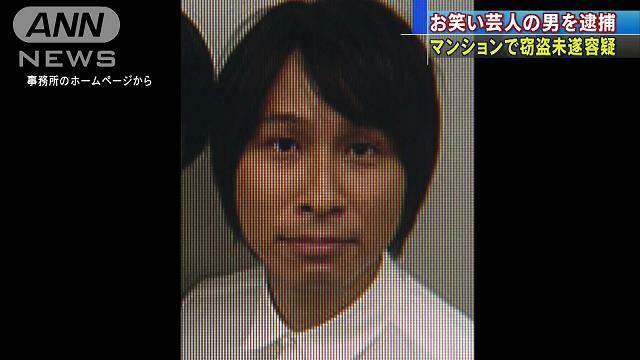 Upon his arrest, Niizuma, who has been accused of attempted theft, denies the allegations. 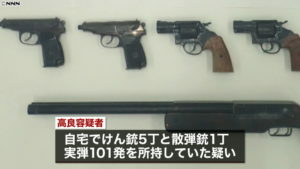 “I saw white smoke and entered the residence,” the suspect was quoted by police. Represented by agency Ohta Production, Top Lead formed in 2001. The duo regularly appears on a number of variety programs, including a weekly show on TV Asahi with members of idol group AKB48.